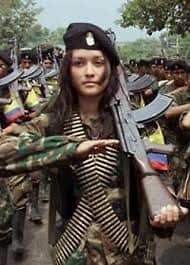 A guerrilla organization known as the Revolutionary Armed Forces of Colombia – People’s Army (Fuerzas Armadas Revolucionarias de Colombia—Ejército del Pueblo, FARC–EP and FARC) has been at war with the Colombian government since 1964, marking it as the hemisphere’s longest-running armed conflict. The FARC has claimed to be a Marxist-Leninist army representing the rural poor against Colombia’s wealthy, opposing imperialism and the privatization of natural resources. 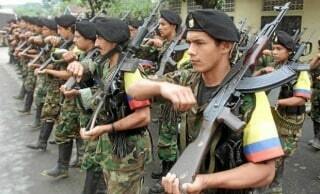 The FARC funded its campaign through the drug trade, kidnapping, illegal mining, and extortion. Experts believe that the FARC continues to be active in 25 of Colombia’s 32 provinces, with around 8,000 fighters, down from 16,000 in 2001. The conflict between the rebels and the government has claimed more than 220,000 lives and displaced almost five million people over 50 years. In 2016, the UN Security Council approved a political mission to monitor implementation of a peace deal between the Colombian government and the rebel Revolutionary Armed Forces of Colombia (FARC), following a joint request by the parties. Both sides sought negotiations to create an environment where violence is no longer the means of securing social change. The two sides began formal peace talks in Cuba in 2012 and have reached an agreement on four key topics in preparation for signing a final peace document. Assistant Secretary of State for Western Hemisphere Affairs, Peter Romero, recounted the situation in Colombia in the late 1990s during an interview with Charles Stuart Kennedy in June 2011. Thomas Reeve Pickering, U.S. Ambassador to the United Nations, discussed how he worked with Romero to design and implement “Plan Colombia” to combat not only the left-wing guerrilla movements but also the booming drug trade in an interview with Kennedy that began in April 2003. James Mack, Director of the Office of Andean Affairs, delved further into “Plan Colombia” during his oral history with Kennedy in March 2004. To learn more about South America, peace negotiations, or to read another diplomat’s perspective on combating drug trafficking in Colombia, please follow the links. He gets elected on that platform and he proceeds, after he’s elected president, to do everything that he can to reach out to the FARC guerillas, the largest group and also the ELN, etc, to try to achieve peace in his country. The focus was on the FARC, and when he was elected the guerillas said that they thought that this was the best outcome that they could have. So there was a lot of feeling that negotiations would result in the end of all this conflict that had gone on for fifty years by that time. And through the course of the next two and a half years, to make a long story short, the government gave all kinds of concessions and the guerillas gave nothing; they never negotiated seriously. In the end, they wanted power sharing, they wanted to be able to walk into the capital and occupy specific ministerial posts and have half a dozen or a dozen of their people named to the Senate, without elections. Because the bottom line was that in Colombia the FARC had, even at that time, probably less than eight per cent approval rating in the country. They couldn’t have gotten elected. Maybe to some local mayoral positions or something, but they couldn’t have won a national election. So they wanted power sharing and that was a non-starter for Pastrana. So Pastrana goes through two and a half years of offering concessions, giving them an area the size of New Jersey as a safe haven to operate within, prohibiting his own military from going there. And in that two and a half or three years of desultory negotiations, President Pastrana’s approval ratings are going down through the floor, as he’s not achieving anything on the peace side. The FARC was using its control of that area to increase its recruitment, in some cases forcing campesinos (peasant farmers) to join. They go from about 12,000 to almost 20,000 by forcibly recruiting and offering benefits to campesino kids. And they start to control more and more territory. In the last two years of Pastrana’s four year term – it would have been 2000-2002 – essentially you’ve got about 75 percent of the country outside government control; you’ve got Colombia on the verge of becoming a failed state. At the time, I took a trip to Colombia and we had some Special Forces, Green Berets, that were situated inside of the Colombia Ministry of Defense in Bogota, and their job was to merge our intelligence and Colombian intelligence information to put together what they called “target packages” for the Colombian military. For example, they would find from our satellite imagery a laboratory in the jungle for processing cocaine. They would take that, they would put it on a map, they would see if Colombian intelligence had any more to add in terms of how it was defended, who was there, how many bad guys, etc, etc. And I came to the realization that the country was falling off the table in terms of security and that the Colombian soldiers were not fighting. They felt that President Pastrana was more of a mediator between the government and the guerillas than he was the leader of the government. He never went to funerals of the fallen, or very rarely ever did, and never really showed strong leadership in government. He kind of saw himself as a mediator between the two sides and not as head of government. The line of applicants for visas to travel to the U.S. around the consulate every day stretched for blocks, literally. Everybody was scrambling to get out of the country. Literally on the back of a white airplane air sickness bag we put down the basic elements of what later became known as Plan Colombia, what it would look like. And I got back and my boss at the time was Under Secretary Tom Pickering. 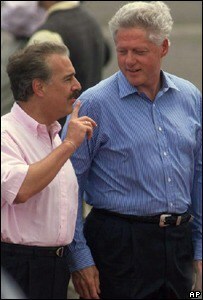 He and I had worked in El Salvador together and at the UN during the peace negotiations with the Salvadorans. He was right, but I said, “Look, it’s the right thing to do and if we don’t succeed, at least we will have tried. As far as the administration’s relationship with Congress is concerned, you’re exactly right, but I think the State Department can do this on its own, get the necessary appropriation. “The good thing about it is, it shouldn’t be that difficult to do inside the administration, because Pastrana and Clinton (seen right) had a really good relationship. There had been a state visit and their interactions had been warm and personal and friendly” and still continues to this day; it’s a very close relationship. We put it together, $1.2 billion. At the time, it seemed like a huge amount of money. Our assistance package to Colombia at the time was less than $100 million a year. This was comprehensive: helicopters, training, quick reaction battalions, alternative development for people who were growing coca to grow other cash crops, judges, courthouses, civic action programs, the full program menu – and we got it passed. …But because of the relationship between Pastrana and Clinton and because the Colombians were desperate for something, they (liberal Democrats in Congress) were seeing Pastrana ending his four-year term having lost the country. They needed something to turn it around. They had a gifted Colombian ambassador here by the name of Luis Alberto Moreno, who now heads up the IDB (Inter-American Development Bank), who got it right away and who worked with us very closely, to the point that by the time we sent our first draft of Plan Colombia to Bogotá, it was accepted a few days later as a final document (and only later translated in Spanish). And I think probably the thing that was most fortuitous was that after Pastrana left, a president was elected down there, Alberto Uribe, who had come from a family whose father was killed by the FARC and whose brother and sister were kidnapped. He had been mayor and governor of a highly conflicted area, in Medellin and Antiochia, and came to the presidency with a very strong vision of what he needed to do. And with Plan Colombia money there and with replenishments of five and six hundred million a year, they’ve gotten about seven-eight billion dollars by now. He was able to use that money, along with increased local revenue, to just turn the security situation around. …One of the things that [Brazil] reacted to most sharply during my time was Plan Colombia. We had reached out to the Brazilians on many, many occasions, at the Assistant Secretary level and at Tom Pickering’s level, who at that time was Under Secretary for Political Affairs, to draw them into being helpful in the deteriorating security situation in Colombia. Why? Brazil was the biggest player in South America, but besides that they shared a border with Colombia and things had gotten so bad that during that period whole military bases in the east of Colombia were being overrun by FARC guerillas, who were massing thousands of their forces and overrunning military bases. On one such occasion Colombian troops actually fled into Brazil to escape being captured by the FARC; it was that bad. So the Brazilians had every reason to cooperate with us on Plan Colombia. In fact, they should have been the ones that initiated it, who started it. But because we did and because our influence in Colombia was growing and also because of the forward operating locations that we had negotiated with Latin American countries to position U.S. military assets in the region, they felt threatened. We negotiated a forward operating location in Ecuador, in Curacao and in El Salvador which permitted U.S., mostly Air Force assets and Army air assets, to be positioned in the region to stop human trafficking, drug trafficking, etc., and to monitor what was going on in conjunction with local forces, always in conjunction with local forces. And these were not bases, they were facilities that were negotiated to be used by us. That seemed to threaten the Brazilians. So when it came to Plan Colombia, we reached out so many times to tell them we had to do something, the Colombian state is teetering, it’s bordering on a failed state, in terms of losing huge swatches of its territory to bad guys, they saw our support to Colombia as a threat to them, regrettably, regardless of our best efforts. But he said something to me very revealing. He said to me, “I was a junior officer on the border with Colombia when I was in the Venezuelan Army and I have to tell you that many of the Colombians on their side of the border view the guerillas as the legitimate army in that part of the country. They don’t see the government as being legitimate; they only see the FARC as being legitimate,” which began to tell me where he was coming from. Later, as lots of subsequent information has come forward, he began to support the FARC and other groups from Venezuelan territory, as a matter of policy. Thomas Reeve Pickering, U.S. 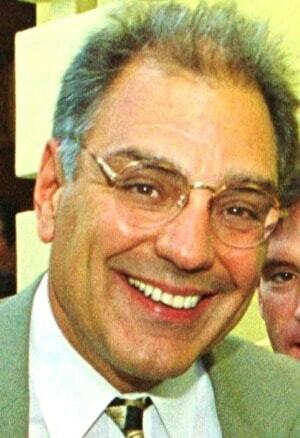 Ambassador to the United Nations, 1989-1992. PICKERING: …One day Sandy Berger (U.S. National Security Advisor) called me, probably in late ’98, and said Colombia is really getting worse and we have no real focus on it. He would want me to lead an executive committee of the National Security Council, including all the departments and agencies around the government, to deal with Colombia. I said, “Sandy, if you ask and [Secretary of State] Madeleine [Albright] agrees, of course I will do that. It’s important and we obviously are not seeing things get better.” So we agreed, and certainly Pete Romero and Randy Beers, who was in the “Drugs and Thugs” bureau, [the Bureau of International] Narcotics and Law Enforcement [Affairs], had been at least privy to the thinking that had went into this. So I gathered them right away and they were enormously helpful; they had a lot of good ideas. Out of them came the beginning of the thinking about Colombia in the executive committee. We should focus on creating some kind of a planned effort to deal with Colombia that would be something that would hook the Colombians in as much as us. It would be devoted to making a major effort across the board in Colombia and with the myriad of issues that afflicted Colombia at the time. And, that given the sensitivities in the Congress on counter insurgencies as a result of Somalia and indeed Vietnam and indeed probably El Salvador, we should look at this as primarily a counter drug-focused effort. But insofar as the military were involved, it would be the anti-drug fighting rather than fighting with the left-wing guerrilla organizations (who were deeply engaged in and profited from the drug trade). We should specifically help the Colombian military to improve their capacity to do drug prevention, drug eradication and the protection of forces engaged in drug eradication work. We should spend a lot of time with the Colombian police; we should spend a lot of time with the judiciary with the social system, with the prosecutorial system, all the things that were broken in Colombia, which in one way or another tended to add to the national breakdown. Andres Pastrana had just been elected president in Bogotá over on the conservative side of the house. He seemed to be dedicated to dealing with Colombia and its future, and open to this kind of effort. Prior to Pastrana, the Colombian government didn’t seem to be very interested or malleable so we thought there was now a new opportunity to make some progress with Colombia. We went to Colombia and set things out for Pastrana and his key cabinet colleagues. We worked very closely with the Colombian ambassador here, Luis Alberto Moreno…he was a great facilitator of getting things done as well as having lots of ideas on his own. The US interagency group met. It was an interesting group because most of the people in the group had been dealing with Colombia on an inter-agency basis for a long period of time, but were frustrated by the notion that no real progress could be made and were frustrated by the notion that they and their agencies – we had AID and Justice and some of the domestic agencies as well as the Defense Department, the JCS (Joint Chiefs of Staff) – were all frustrated by the fact that they had useful programs, but they couldn’t get a high enough priority to get them funded and get them engaged. So very quickly, with the help of Pete Romero and his people and Randy Beers and his people, we put together the outline of the strategy. The strategy was essentially built around what later became known as Plan Colombia. Plan Colombia was envisaged to be something that we would go to Colombia and talk to the leadership about. It was central to get them, in fact, to take ownership of the preparation of a plan. We would make major contributions. 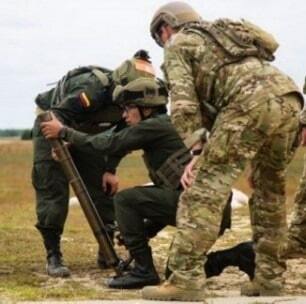 Out of the effort would come a joint U.S.-Colombian effort with significant inputs by the Colombians as well as by the United States to pick up all the various pieces of how Colombia was, in fact, going to rescue itself from becoming a failed narco-state. It was then well on the way to becoming such. There were major thrusts in many different directions involved in the plan. It included a serious military effort, better intelligence collection and analysis and major actions to develop the social structure and the judiciary and court system. It had to tackle the outstanding problems with which Colombia had, over a long period of time, grappled. One key was that Colombia was doing most of these things already. The value of putting them together in a single effort and then funding it was the value of synergy. We felt that the guerrilla movement, as, we felt, the paramilitary movements, which were the right-wing guerrilla movements, were both benefiting enormously from the drug trade. They had moved in to control it and siphoned off money from it and actually supported it. So it was a kind of moneymaking engine for them to keep going. They had gained in strength as a result of these kinds of efforts. In fact, the left wing organization had actually gotten a demilitarized zone to themselves in the center of Colombia where the army said it wouldn’t go; at least the largest of them achieved this – the FARC. We worked quietly with Pastrana outside of Plan Colombia, but on a very personal diplomatic basis, to support him in dealing with the negotiations that he wanted to undertake with the guerrillas. He wanted to see if he could use the negotiating process to bring them around both on things like prisoner releases and also to see if he could move toward a settlement…. The head of the FARC was a very obdurate man who has since died, a man who had been in the bush a long period of time, was, if anything, totally out of touch with world realities and what was happening. Known at Tijofijo, Sure Shot, he showed little interest in any compromise. As a result, things didn’t move either very far or very well, but this was a very important track in our political strategy even though we didn’t make this track a piece of Plan Colombia because of the sensitivity of the issue and the problems involved. MACK: Under Secretary for Political Affairs Ambassador Tom Pickering, for whom I worked many years prior in El Salvador, asked me to come back and head up a new Inter-Agency Task Force called the Plan Colombia Task Force. The idea was that the Task Force would facilitate the coordination and implementation of US support to Plan Colombia. We are talking about a billion dollar package here. I started up the inter-agency task force before Congress even passed the appropriation, but we knew it was coming and wanted to be ready. We basically teed up for the principal [officer]s, that is, those senior officials in the various US departments with programs to be implemented with Plan Colombia Funds, issues that could not be resolved a lower level. A significant part of what came to INL (Bureau for International Narcotics and Law Enforcement Affairs) was actually then funneled to other implementing agencies, much of it USAID (United States Agency for International Development) for alternative development, or to the Department of Justice for legal and judicial reform. 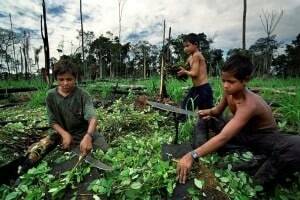 “Alternative Development” programs were aimed at providing alternative livelihoods for people who had been growing coca. 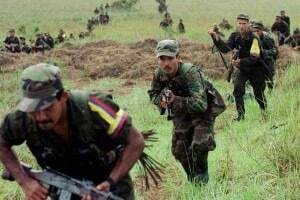 INL itself executed very large programs to support aerial coca eradication in Colombia and to train specialized police units to go in and bust big drug labs often defended by and later also run by guerrillas. In fact the guerrillas, especially the FARC, actually pushed aside many of the traditional narcotic traffickers and took over much of the businesses themselves. And of course many anti-guerrilla paramilitary groups got heavily involved in the drug trade as well. So there were the three major areas: narcotics control, alternative development and legal and judicial reform. In 2000, we had negotiated with the Government of Colombia the conditions under which we would provide the Plan Colombia assistance. The biggest issue was getting the Colombian Government, the Pastrana government, to agree to specific targets for eradication. And after an enormous amount of back and forth during two weeks at the Colombian foreign ministry in Bogota, the Colombians agreed to reduce their coca cultivation by 50% by 2006. That is what has happened if you use the UN coca figures. According to the CIAD (International Center for Tropical Agriculture) figures, there is as much coca as there ever was, but the CIA keeps discovering new coca areas that have been there all along, which distorts the figures. In any event, these results made were possible because of aerial eradication. I should note that while then-President Pastrana would occasionally place temporary restrictions on spraying for political reasons, or as a sign of good faith in his on-and-off again and eventually fruitless negotiations with the FARC, the current Colombian President, Alvaro Uribe, has been unwavering for his support for coca eradication.